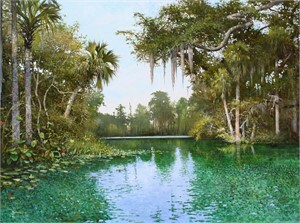 Kent Sullivan is regarded as one of today's most outstanding landscape painters. He was raised in Colorado and Nebraska. In 1982 Kent moved with his family to Florida , after winning the National Koshare Kiva Art Competition. There he began his art career in earnest. It wasn't long before his work became sought after by corporate and private collectors including; The Smithsonian, NASA, Mayo Clinic, Ritz Carlton, Sun Bank, CNL, Disney, and many more. Critics acclaim his work. Laura Stewart Dishman says, Kent's "...effectiveness is due, in part, to its inspiring subject, and its realism, but still more to the artist's use of a long and successful tradition of romantic landscape painting." Indeed, studying the works of artists such as Moran, Turner, and Beirstadt are a constant pursuit of the artist. Gayle Williams of Sarasota Arts Review writes, "What touched me was the life in his paintings-the way he captures the ephemeral interactions of clouds, sun and earth with his delicate use of color and gesture." Bob Schulman, curator for NASA's art collection, says Kent's paintings are"...inspired and beautiful paintings few artists have the ability to accomplish." dazzling light display of sunset over the marshes." 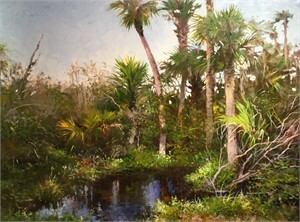 Dr. Kahren Jones Arbitman Director Cummer Art Museum notes that "Kent numbers among the best of Florida's landscape painters. 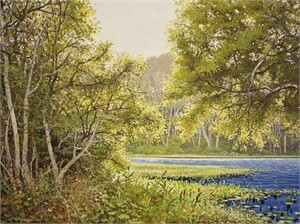 Using delicate brushwork and a keen color sense, he can capture both the nuanced, dappled light of daybreak over a grassy hammock and the dazzling light display of sunset over the marshes." 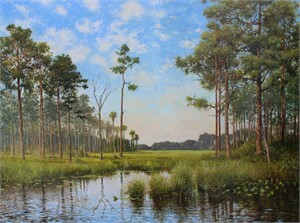 His work is published in two prominent books "Art of the National Parks" and "Picturing Florida". He has lectured at museums, and been commissioned for large installations. Throughout his career Sullivan has been featured on television, in magazine articles, and in artists' publications. He has juried art contests, served as featured speaker for art groups, and held workshops for other artists.